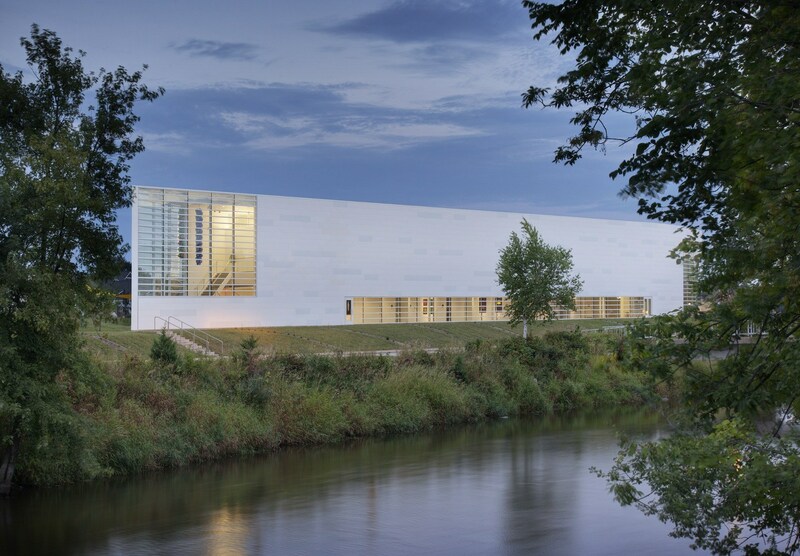 The Museum of Wisconsin Art’s (MOWA) geometrically striking new building provides an important city landmark that increases statewide visibility and attracts visitors throughout the region. 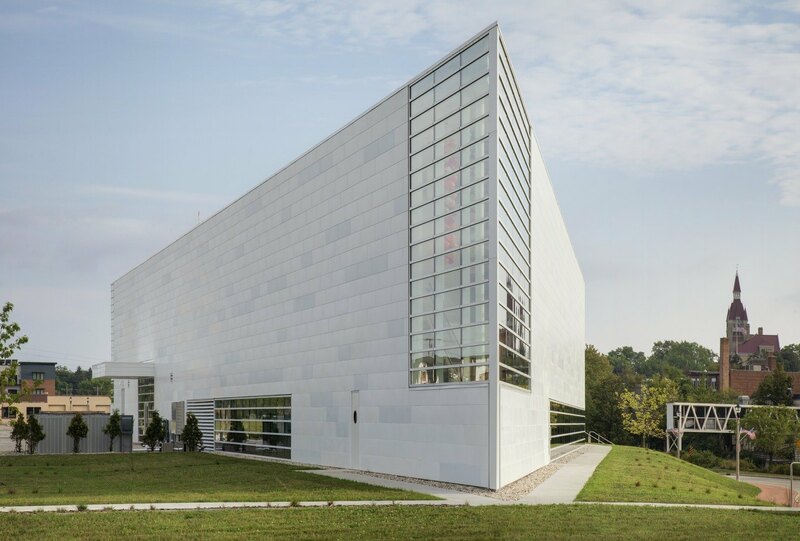 The 31,000-SF, two-level museum includes 12,000 square feet of gallery space, a multipurpose atrium, gift shop, two education studios, administrative offices, archives for works-on-paper, and visible painting storage. 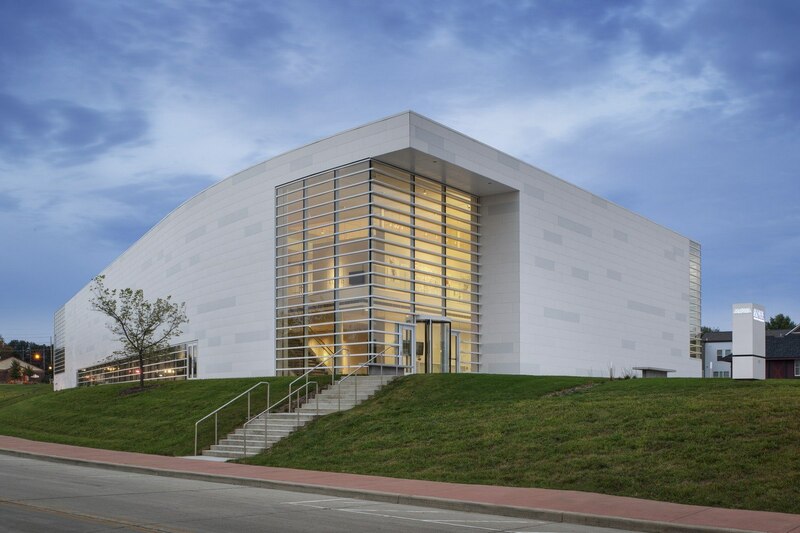 The building follows the triangular geometry of the site, curving along the Milwaukee River from the main glass-enclosed entrance at the southwest corner to a wedge-shaped terminus at the other end, where a glass curtain wall reveals an interior stairwell and suspended artwork. Inside, visitors enter a multipurpose atrium and follow a glass-paneled grand staircase to the second-level permanent-collection galleries. Adjacent to the main galleries is a rotating-exhibit gallery, which includes a balcony overlooking the atrium and activity below. 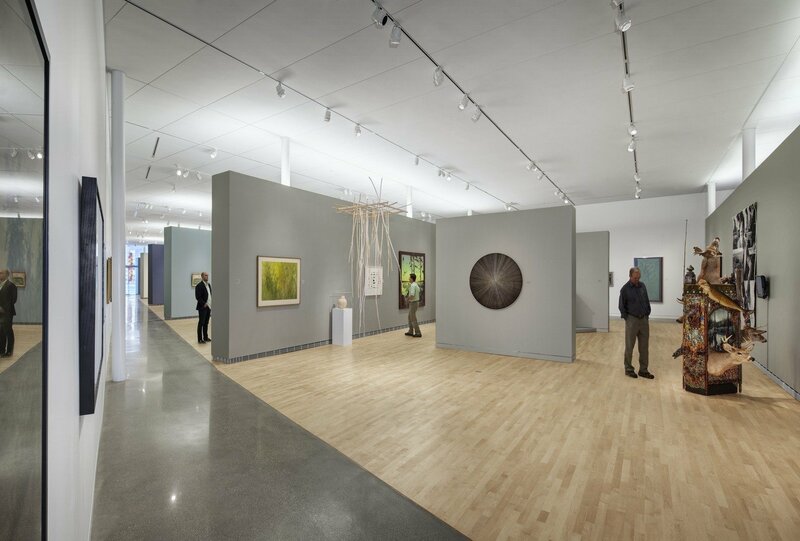 The museum employs an energy-efficient displacement ventilation system, which circulates air from the baseboards rather than from the ceiling. 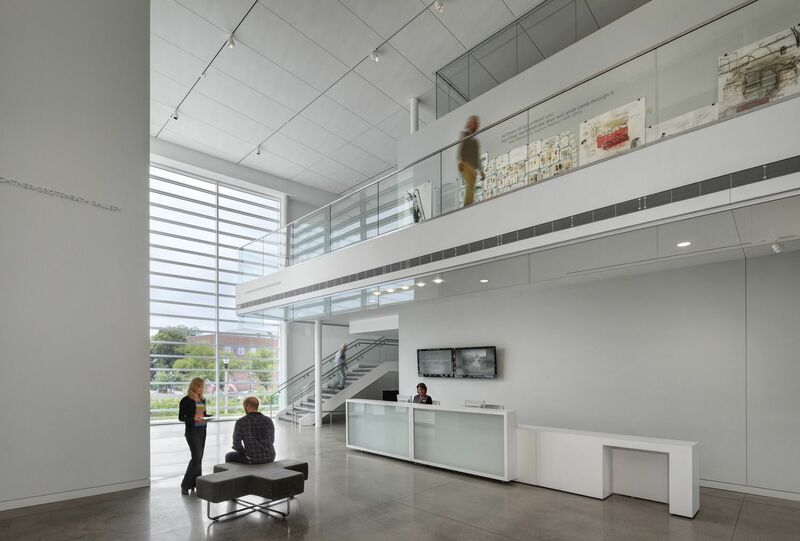 Hidden within the two-foot-thick gallery walls, the system includes low-velocity air supply in the bases and return air at the top. Because air is delivered closer to the users, the indoor winter and summer temperatures are set moderately to save energy consumption. The system also protects the artwork from dust and static charges because air does not blow down from the ceiling directly onto the art. 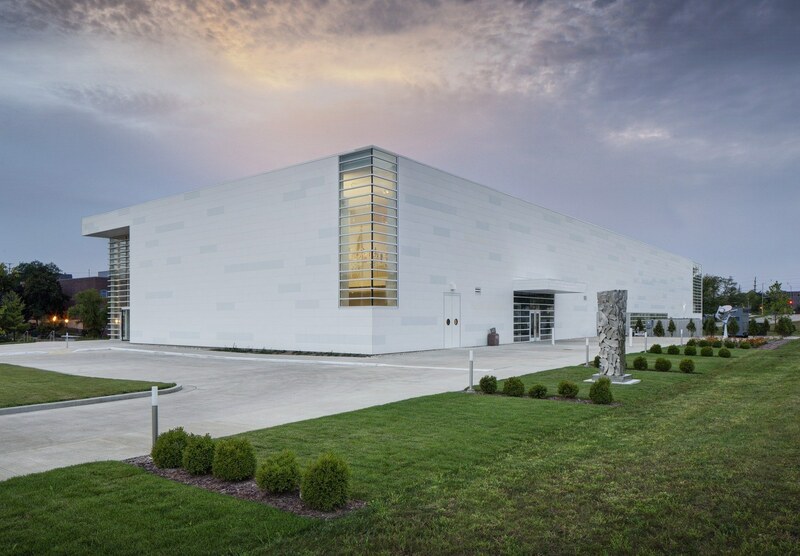 2014 Daily Reporter/Wisconsin Builder "Top 20 Projects 2013"